Wall Coverings add vibrancy and movement to a living space, and hundreds of varieties exist. There’s something for everyone: modern, traditional, romantic, or otherwise. Adding a textured wallpaper, or wall coverings made of grass cloth makes a cavernous space feel more comforting. Made with natural fibers, these wall coverings are often interwoven with metallics which contribute a sense of luxury to the natural aesthetic. 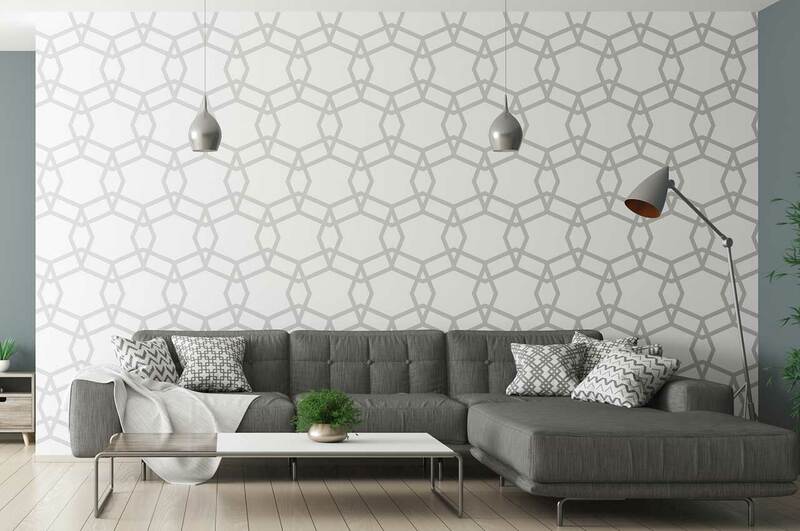 For homeowners who aren’t ready to take the full plunge into the world of wall coverings, try adding wallpaper to just one wall as an accent. It’s an opportunity to experiment with more daring designs without the commitment of a full room renovation. It may seem counter intuitive, but wallcoverings in a small space – a bathroom, foyer, or even a laundry room – add a bit of fun and sophistication. Wallcoverings add vibrancy and movement to a living space, and hundreds of varieties exist. As versatile as it is elegant, wallcoverings offer a number of ways to create spaces that feel welcoming and modern without being overwhelming. If you’re ready to have fun with wallcoverings, contact Helm Paint for a consultation and fall in love with this enduring fashion statement. Wallpaper has had a renaissance in the 21st century. Since 2011, this classic design element has consistently been on nearly every Top Interior Trends of the Year list, and this year is no exception. Jenny Norris, an interior designer and tastemaker at HGTV, suggested incorporating grasscloth wallpaper to add texture and warmth to a room. Former Ralph Lauren designer, Scot Meacham Wood told House Beautiful that wallpaper and wall coverings are not only continuing its comeback, but it’s coming back stronger than ever with bolder patterns and saturated colors. 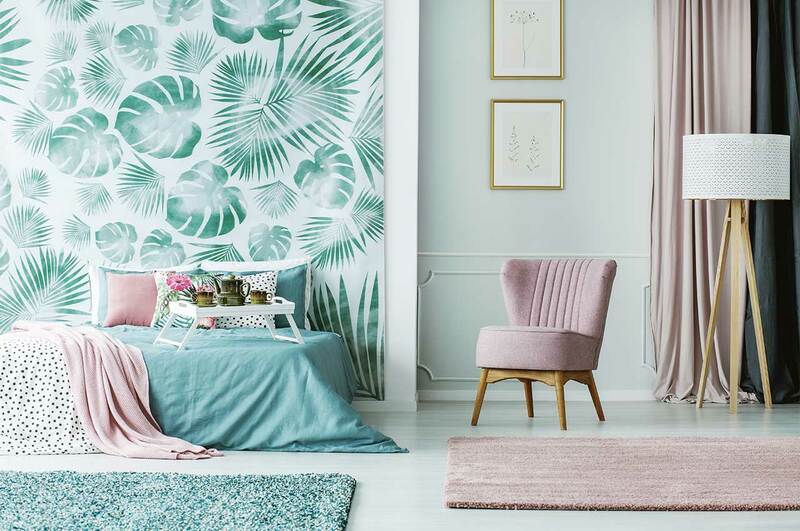 The term wallpaper is now generally cast aside in favor of wall covering, as the modern prints are made with such a variety of textiles – from vinyl to grasses. Paper seems hardly to apply anymore. These updated wall coverings are washable and made to endure gracefully. 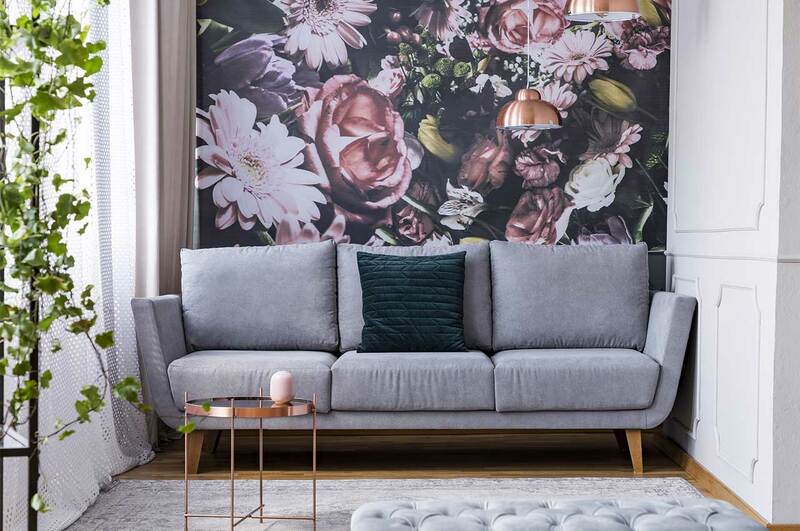 As versatile as it is elegant, wall coverings offer a number of ways to create spaces that feel welcoming and modern without being overwhelming.